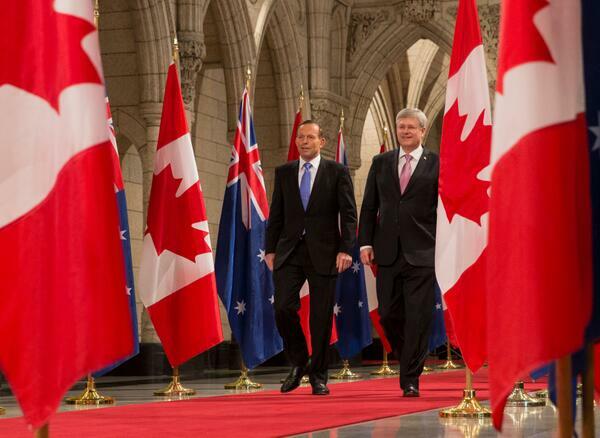 Twitter photo of PM Stephen Harper and PM Tony Abbott in Parliament Hill in Ottawa. OTTAWA-Canadian Prime Minister Stephen Harper and Australian Prime Minister Tony Abbott took turns Monday criticizing efforts by governments to make polluters pay for greenhouse gas emissions. Abbott, who is visiting North America, and Harper, both said their respective governments weren’t trying to avoid dealing with the problem, but suggested they were trying to avoid damaging the economy. 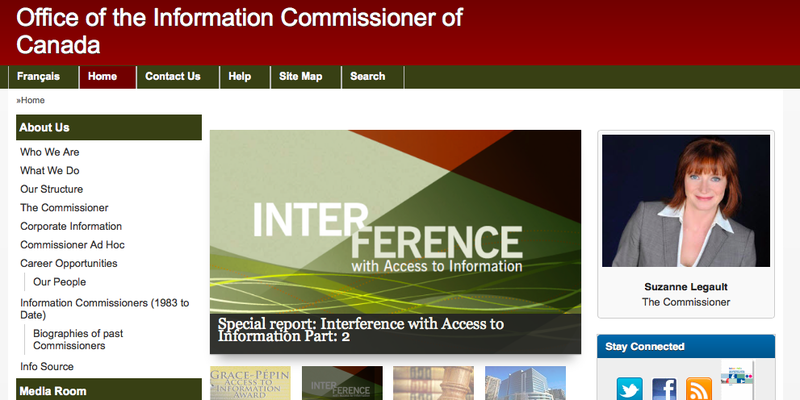 The federal information commissioner has warned of significant deterioration in access to information in Canada. GATINEAU-The looming elimination of Australia’s watchdog for government information and transparency has sparked some surprise and possibly anxiety within the office of its Canadian counterpart. Federal Information Commissioner Suzanne Legault told her office’s employees at a special strategy meeting Wednesday that news of the demise of the Australian information commissioner’s office was a shock since it had been praised around the world for promoting openness and transparency.